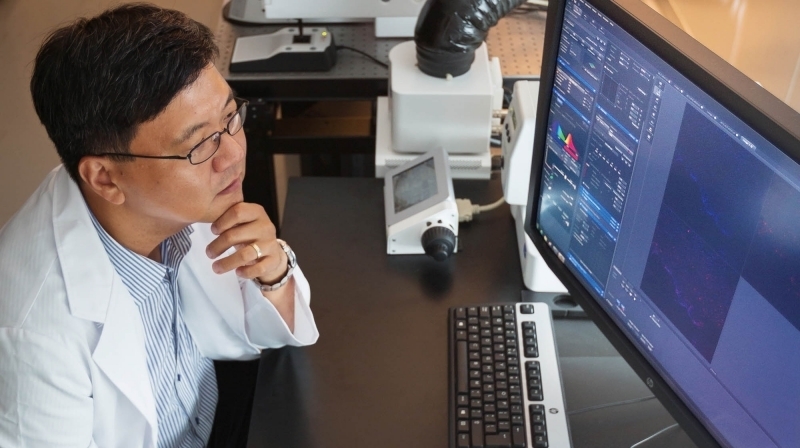 Prof. Kyungjae Myung (School of Life Sciences), Director of the IBS Center of Genome Integrity is looking at results of his recent work on cancer treatment. Breakthrough Inhibition of Colon Tumors in Mice Models. 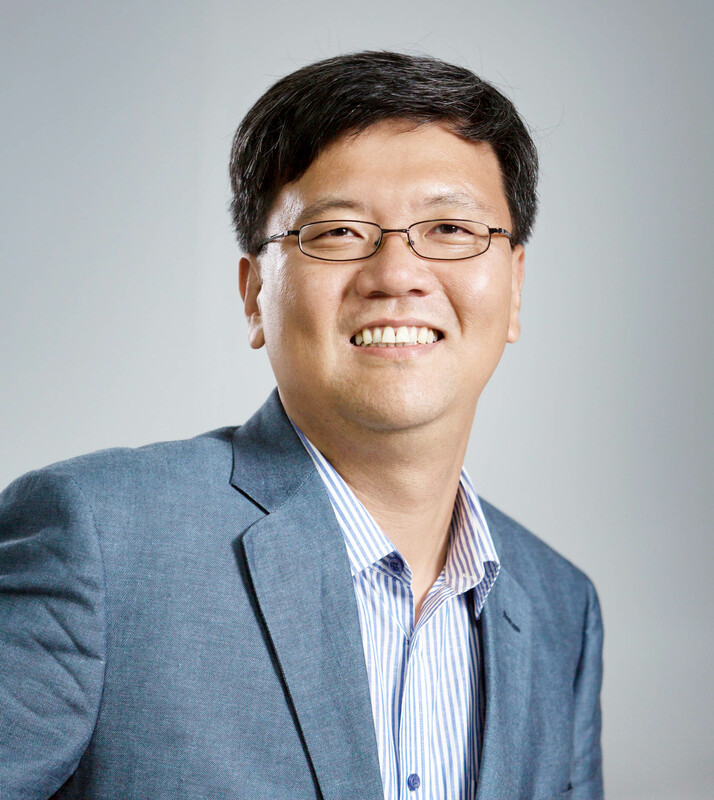 A new study, led by Prof. Kyungjae Myung (School of Life Sciences), Director of the IBS Center of Genome Integrity has revealed breakthrough inhibition of colon tumors in mice with mismatch repair deficiency. The findings, published in the June 6th issue of the American Association for Cancer Research, suggest that this is a significant breakthrough for the future treatment of colon cancer patients, specifically for those with DNA mismatch repair (MMR) deficient tumors. 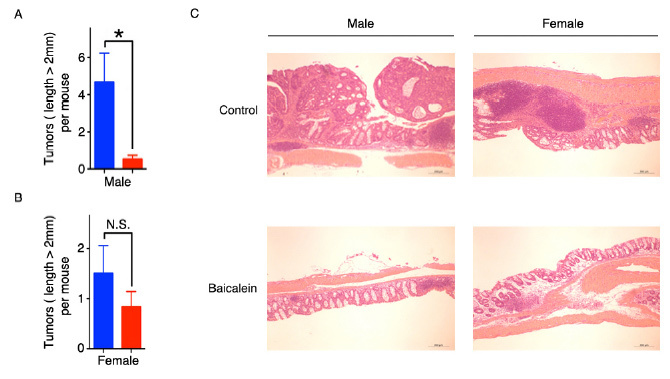 Baicalein inhibits the growth of AOM-DSS-induced colon tumors in mice and the model for baicalein activity in MutSα-proficient and MutSα-deficient cells. Baicalein has been reported to have some anti-inflammatory(33) and antiproliferative(16) effects. In the study, the research team discovered that baicalein is not only a small molecule that selectively kills MutSα-deficient cancer cells, but also offers several advantages over other MSH2-mutant sensitizing drugs, such as methotrexate and psoralen. In the study, two distinct mice models were used to test their hypothesis. They were induced with colon tumors and exposed to a constant dose of baicalein over a two week period. Apoptotic cell death increased two fold by baicalein in MutSα-deficient tumors. The results show that Baicalein continued to significantly shrink the MutSα-deficient tumors. 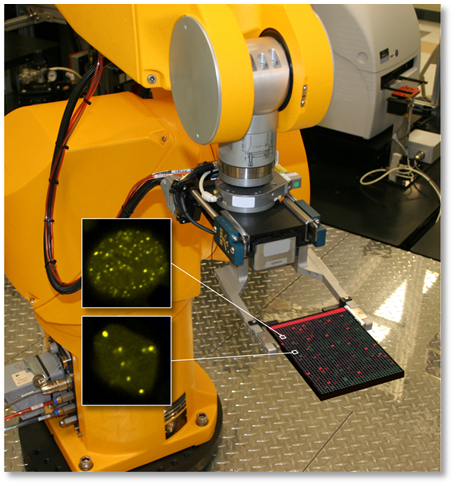 This work has been supported by the Creative Research Initiative, BK21 Plus, and Mid-Career Researcher programs through the National Research Foundation of Korea. Yongliang Zhang, Jennifer T Fox, Young-Un Park, Gene Elliott, Ganesha Rai, Mengli Cai, Srilatha Sakamuru, Ruili Huang, Menghang Xia, Kyeryoung Lee, Min Ho Jeon, Bijoy p Mathew, Hee Dong Park, Winfried Edelmann, Chan Young Park, Sung You Hong, David Maloney, and Kyungjae Myung. “A novel chemotherapeutic agent to treat tumors with DNA mismatch repair deficiencies,” Cancer Research, (2016).